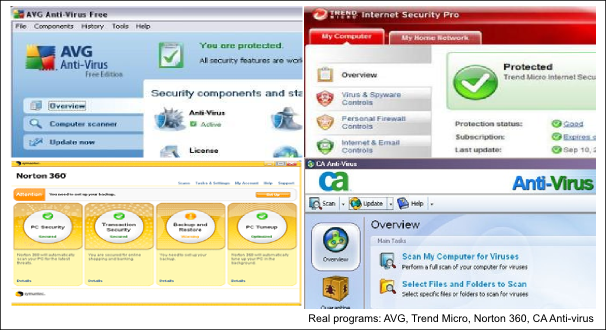 This is just a scare-ware program to make you believe you have many nasty viruses on your system. Its deigned to trick you into paying $30-100 for the “removal” of the fake viruses. How did I get it?! In most cases, people encounter these scams when clicking a link for a legitimate web site, which has been tampered with. The site shows realistic looking virus scanner advising them to take particular actions which result in the scam being installed on their computer. We disable and remove the any parts of the scam we can see, and most times that is the extent of the problem. Unfortunately viruses are so many and varied its impossible to know what else the scam may have done or left behind, including the possibility of software designed to collect personal information and passwords. Most people see the risk as minimal. People with important or sensitive data deem it safer to back up their data and wipe the computer, installing a fresh clean version of windows. These scams mimic legitimate virus scanners, get familiar with your own antivirus software (be it Norton, Trend Micro, AVG), open it up and see what it looks like and what it shows/tells you. Don’t follow any suspicious message while browsing web sites unless you are confident it comes from the virus scanner you have previously installed. If you cant close the browser, try shutting down your computer. Most times this will close the browser for you and you can start it up normally unaffected by the scam.